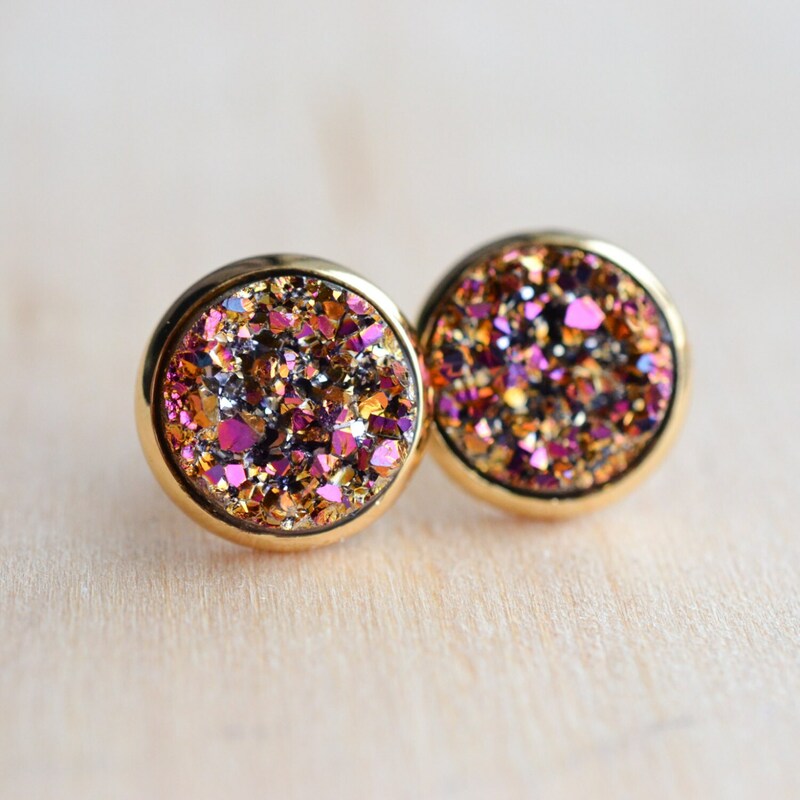 Druzy Earrings are all the rage right now! 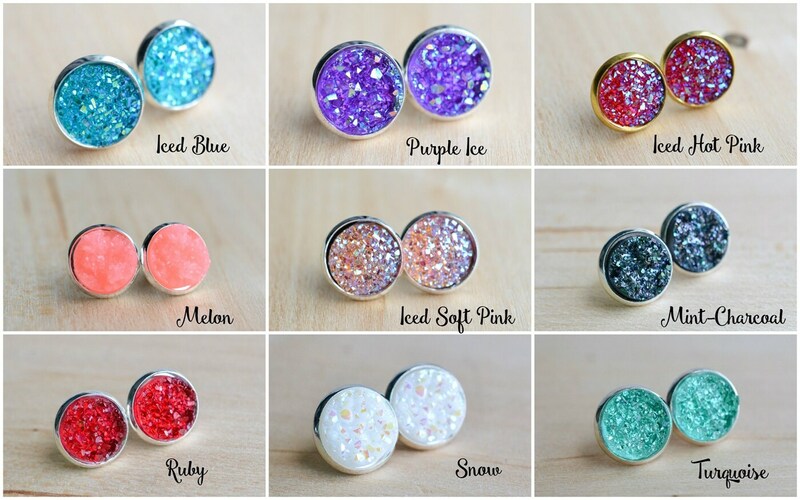 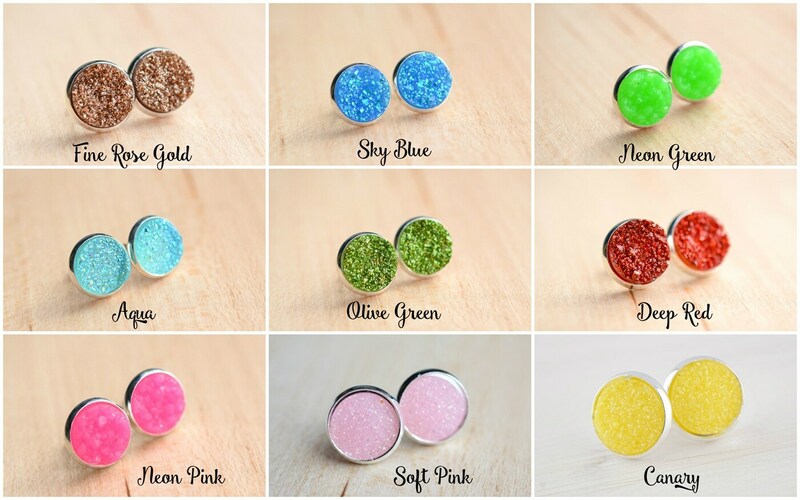 Choose from 36 different beautiful FAUX druzy color options at a great price ! 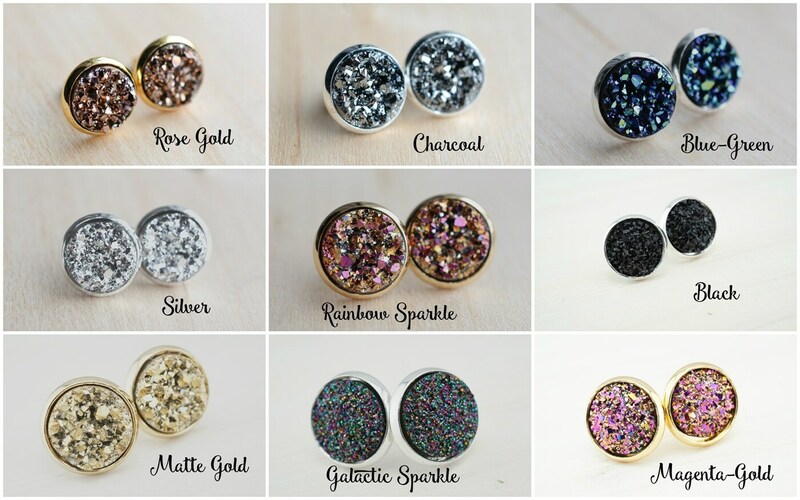 These are 12mm studs, or roughly 1/2 inch in diameter. 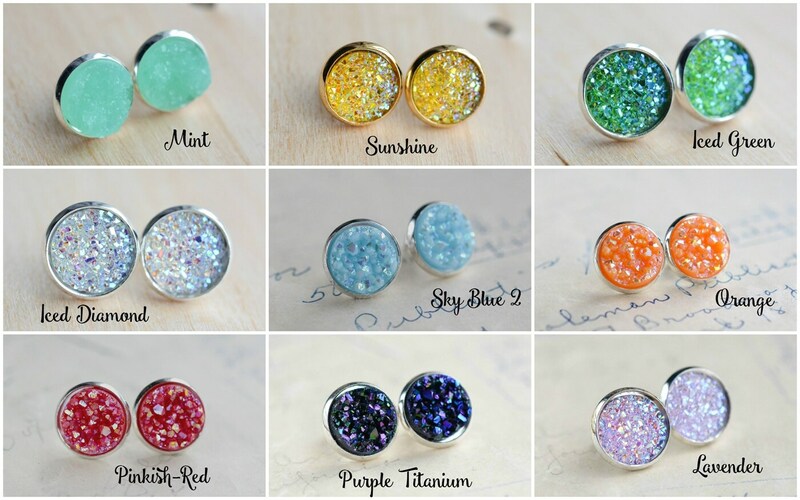 DUE TO SANITARY AND HYGENIC REASONS I DO NOT ACCEPT RETURNS ON DRUZY EARRINGS.